World War I on the Western Front can mostly be described as an exercise in futility. Once the initial 1914 German offensive through Belgium and into northern France had been stopped, it degenerated into the well-known trench warfare with the front lines extending from the North Sea to the Swiss frontier. Those front lines changed relatively little over the course of the next three years despite offensives by each side, generally over the course of several months, in various sectors of the front. These efforts each resulted in little more than minimal territorial gains and casualty lists running into the hundreds of thousands. 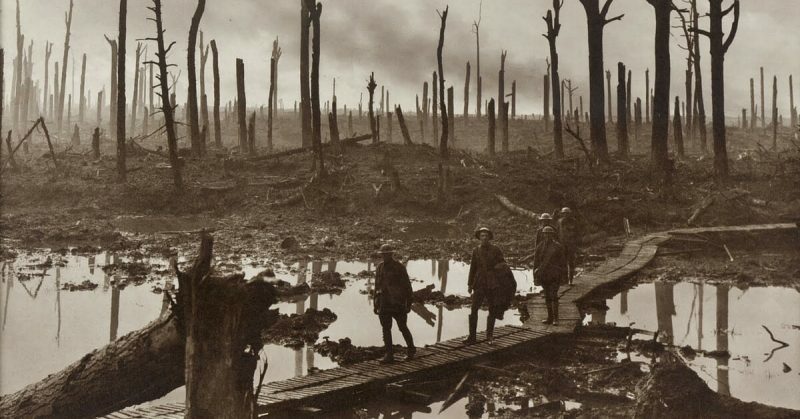 Passchendaele, sometimes called Third Ypres, was another of those multi-month offensives. With the near collapse into outright mutiny of the French Army, it was essentially left to the British, guarding the Channel ports in northern France alongside the Belgians, to launch a large-scale assault ostensibly intended to finally achieve a breakthrough to the Belgian coast, eliminate the U-Boat bases there and roll up the flank of the German defenses. By 1917, weapons technology focused on the dominance of machine guns and artillery on the battlefield. The Germans had the edge in the former and the Allies meanwhile were superior in the latter. As well, aircraft were now a factor on offense, defense and reconnaissance. The generally accepted formula for success in the attack means having at least a 3-1 edge. 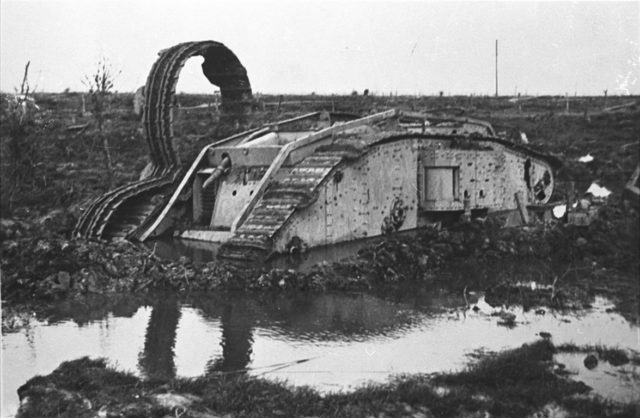 However, this was complicated by the elaborate defenses of interlocking fields of fire from trenches, pillboxes, destroyed homes and ruined villages and the often-times rainy weather, which, along with artillery, made the terrain a near impossibility in which to operate and maneuver. 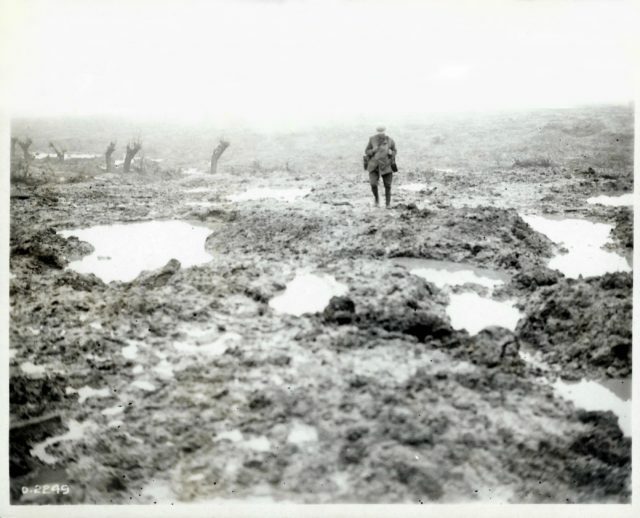 The cratered landscape with shell holes filled with mud and water obliterated what roads there were previously and made logistical efforts to get food, water, ammunition and medical supplies to the front just as much of a nightmare behind the lines as the actual fighting. The presence of the remains of the unburied dead in no man’s land was also a problematic consideration for more reasons than one. At Passchendaele, not only were the British taking over the offensive from the exhausted French but British Expeditionary Force (BEF) commander-in-chief Douglas Haig also needed to be seen to be doing something, anything, which would mitigate political pressures at home on both himself and Prime Minister Lloyd George who had little confidence in this offensive in the first place. What success was experienced had the Germans on the ropes at times and seriously concerned that they would not be able to hold on. Their tactical doctrine, however, called for judicious counterattacks by divisions behind the front lines before the British could consolidate their gains via their “bite and hold” tactics which ultimately conceded any possibility of a breakthrough. The end of the campaign, in November, showed a change of, at greatest extent, approximately five miles in the front at an immense cost in men and materiel. 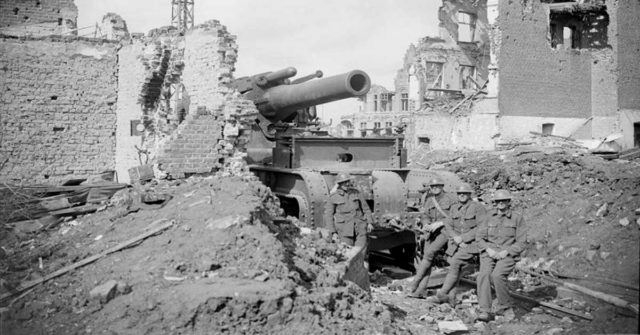 Technically, it was a British victory yet did not achieve the desired objective of clearing the Belgian coast or defeating the German army and ending the war. Trench warfare would continue for another year. Thirteen excellent, detailed maps accompany the text, ranging from the situation in June to the final line in November. A section of twenty-four photographs is also included. They show the blasted landscape and related conditions under which the battle was fought, some of the primary commanders and their men and equipment. Extensively researched, the lengthy bibliography includes national archival sources, official histories and reports, memoirs and personal accounts, unit histories and general works and articles. This story, told from both sides but with more emphasis on the British perspective, is as emblematic of the futility of World War I as any other. Yet there is an object lesson to be learned here, if for no other reason than to demonstrate the war’s sheer and utter waste of life and resources even as the old mainland Europe monarchical order brought about its own demise. 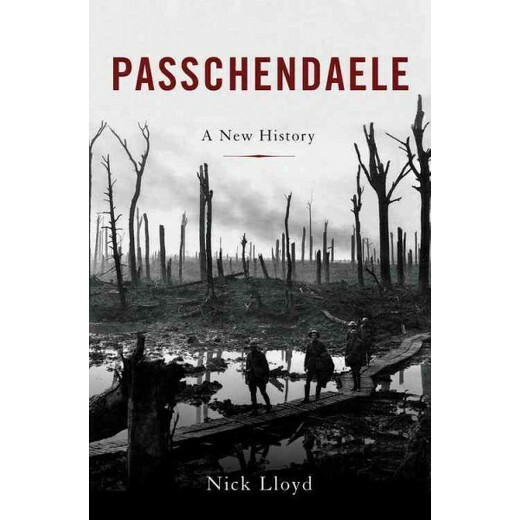 Passchendaele: The Lost Victory of World War I by Nick Lloyd.